Farotech can help your practice organize and implement the best inbound marketing ideas for orthopedics. Are you interested in dramatically expanding the reach of your orthopedic practice? If so, you may have started by surveying the many inbound marketing ideas for orthopedics that are available online. 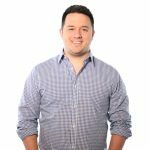 However, after learning all about the benefits of lead generation, tracking and lead scoring, and automated email campaigns, you may be left wondering where, and how, to get started. To have an effective inbound marketing campaign, you need to create an organized strategy, and Farotech can help you with that. With over ten years of experience in inbound marketing and specialization with healthcare practices like yours, we can help you take those ideas and turn them into an effective, revolutionizing campaign for your practice. Although many of the inbound marketing ideas for orthopedics that can be found on the web may be effective, the order in which you apply them really does matter. For example, inbound marketing is, in large part, about helping clients find their way to your practice’s website. 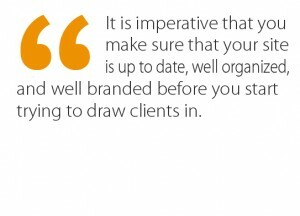 So, it is imperative that you make sure that your site is up to date, well organized, and well branded before you start trying to draw clients in. At Farotech, we understand that you probably have a lot of different ideas you would like to try; our marketing experts can help you organize these into a strategy that will optimize your results at every stage. One of the most important inbound marketing ideas for orthopedics is lead generation. This is achieved by consistently adding new, quality content to your site. With fresh, informative posts on blogs and other forms of social media, you continually provide new points of connection for both search engines and the potential patients using them. However, when you’re busy running a successful orthopedics practice, it can be hard to keep up with the content with the kind of consistency necessary to really see results. This is another area where Farotech can help. Our team of experts will take the time to get to know you and your practice in order to help generate that vital content for your site while you focus on what is really important to you: helping a patient’s life and to feel better. Although bringing potential clients to your site through quality content is at the heart of inbound marketing, its success rides on what happens to those visitors once they arrive. Do they visit once and then disappear again? Or do they return, again and again, soon becoming loyal patients of your practice? With lead tracking technology and marketing automation emails, you can increase your level of engagement to ensure that your inbound marketing is effective. By dropping tracking code, called cookies, onto visitors’ computers, you can see how they are interacting with your site and at which point they either disengage or commit. When they do express interest, marketing automation emails can then extend a personalized welcome to help them connect with your practice. At Farotech, our marketing experts can help you to put both of these vital practices into action on your site. Are you ready to turn your inbound marketing ideas into a strategic campaign for your orthopedic practice? If so, Farotech can help. Contact us today to talk with one of our marketing experts about how we can help you design and implement a strategy that will help you begin connection to potential patients in your neighborhood today. Are you successfully implementing the strategies above to help your client base grow?